Redsn0w, Pwnage Tool and Sn0wbreeze for iOS 4.3.3 have been updated that will fix side switch vibrate problem on iPhone 4 and iPhone 3GS after untethered jailbreak on iOS 4.3.3. If you have already jailbroken your iOS 4.3.3, then you can re-jailbreak your device using the same instructions you did before. Make sure you uncheck “Install Cydia” option, and just check any other option to proceed with the jailbreak which includes the fix. If you’re already jailbroken at 4.3.3 (by either redsn0w or custom IPSW), you can install this fix simply by running redsn0w rc16 over your existing jailbreak. Just uncheck the “Install Cydia” option and check any other options you want. The fix will be installed no matter what you’ve selected. This is safe for even ultrasn0w unlockers to do (because redsn0w itself won’t update your baseband…only an iTunes stock IPSW update/restore will do that). redsn0w rc16 has a few more improvements: Windows 7 and Vista users should no longer need to set their CPU affinity…just run redsn0w as Administrator in XP compatiblity mode. Also, the “verbose boot” option for old-bootrom iPhone 3GS has been fixed for 4.3.3 (remember: old-bootrom 3GS users can even have custom bootlogos that show right at power-up). Enjoy! 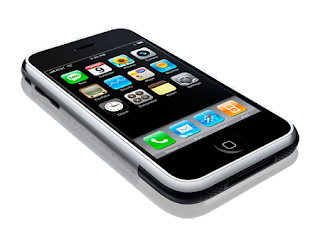 0 Respones to "Now iPhone Side Switch and Vibrate Problem Fix After iOS 4.3.3 Jailbreak"